Whether it's from a small house fire that was quickly put under control or a candle that created a smoky issue before it could be extinguished, removing the smell of smoke from your home can be tricky. Removing smells from your space without adding commercial cleaner odors is easy with a few proven ingredients. Clean these areas even if they look unaffected from the fire. They may have small particles that cling to the stone, Formica or fibers. 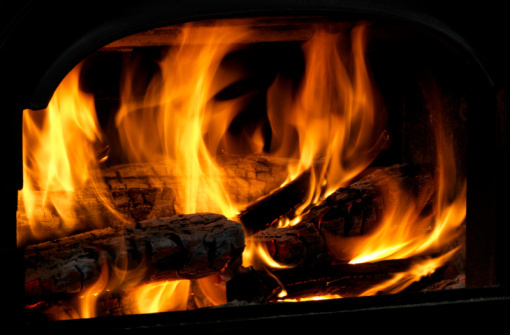 If the fire left behind streaks of smoke, a commercial cleaner may be needed to fully remove the discoloration as well as the underlying particles that create the burnt smell in your home. A small bowl of vinegar left out overnight can get the burnt smell out of the house. Spray bottles – For small concentrations, a 12-ounce bottle works well. 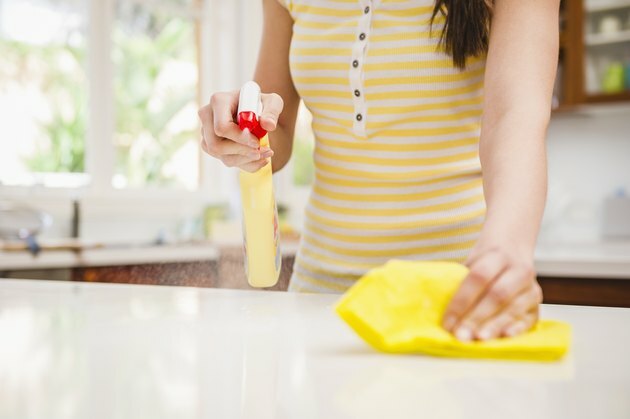 Use a 32-ounce bottle for larger jobs or if you plan to keep extra cleaning solution on hand. Scrubbers and cleaners – Have a scrub brush with a narrow tip to get into tight spaces as well as sponges of varying thickness and stacks of thick, clean towels for shining and buffing cleaning residue away from the surfaces. To remove the smoke smell from a recent issue with a small fire that got out of control, vinegar can often do the trick. Using straight vinegar with a rag works quickly without damaging countertops, window treatments, carpeting or other items to which burnt smells can attach. The natural deodorizer can pull up odors that get attached to the plastic blinds, the fibers in curtains, rugs and carpeting and porous materials such as concrete or painted walls. It cleans and brightens surfaces while it removes that funky smoke smell. Removing smoky smells with a mixture of baking soda and dishwashing liquid in a gallon of warm water is a snap. The baking soda will pick up dirt and grime to which smoke tends to attach itself, and the dishwashing liquid will cut through grease and soot from a fire. It is a gentle cleaner for most surfaces yet strong enough to remove layers of scent and filth. Put it in a spray bottle or just a gallon bucket. It will keep for three days in a spray bottle. It could leave a fine film, so have plenty of clean towels to buff away the cleaner when you are done. Put it in an opaque spray bottle, and it will keep for three days.